Preheat oven to 425. Slice the top off the head of garlic and drizzle with olive oil. Wrap with foil and roast for 30-40 minutes, until tender. Squeeze garlic cloves out and discard peel. Add potatoes to a large pot of water and boil for 20-25 minutes, or until tender. Drain and return to the stove top for one minute, to evaporate any remaining water. 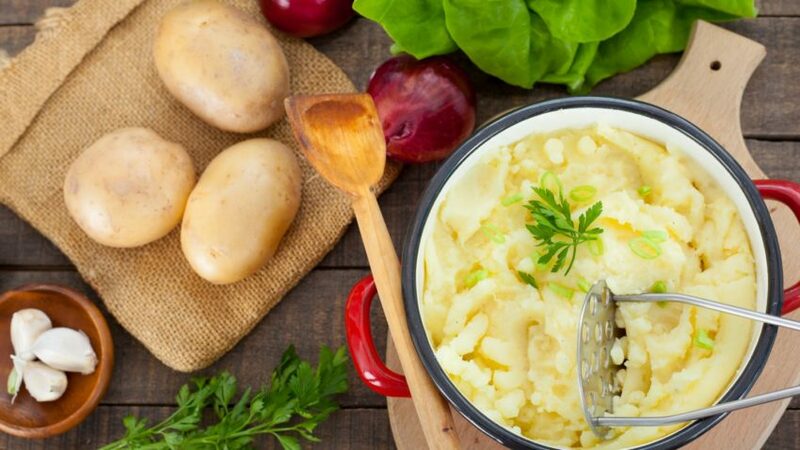 In a large bowl, mash the potatoes by hand and add the roasted garlic, Earth Balance, and sea salt. Combine until thoroughly mixed. Enjoy!